This optional dongle can be supplied instead of a serial number. It requires a physical shipment (Shipping costs included in the price). You will need one dongle per computer as each dongle can hold up to 20 licenses. What are the advantages of dongles compared to serial numbers ? When you order a license, you will receive a serial number by email unless you purchase a dongle. The serial number requires activation using an Internet connection. Before you can move a serial number to another computer or reinstall it onto your system, the serial number must first be de-activated. 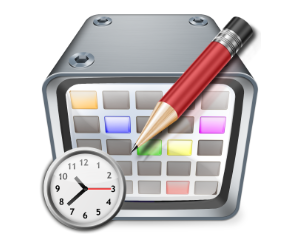 It is not possible to move or reinstall a serial number unless it is deactivated. When you use a dongle, you need not worry about activating and deactivating your license(s) as with serial numbers. 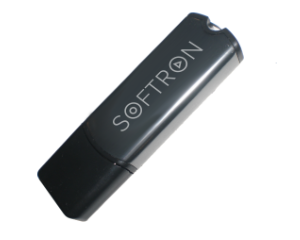 The Softron dongle looks like a USB memory stick - but it has your license(s) on it and can be moved from computer to computer simply by taking it out of one USB port on one computer and plugging it into a USB port on another computer. Should your hard drive become corrupted - your dongle will be fine and once you get your system ready and working again, all you need to do is download the software from the Softron website, plug in the dongle and you are ready to go. When you use the serial number license, you run the risk of losing your license completely. When is a dongle recommended ? We strongly advise that you order the dongle option in cases of critical use of the software. If you intend to move your license frequently from one computer to another or if you want to quickly move the license from the main computer to a backup computer (or simply moving your license from office to home and back) you should think seriously of getting the dongle as well. You never know when you will really need it - until you really need it. I already have a serial number, can I migrate to a dongle? Yes, just order one dongle and specify which serial number(s) you wish to migrate on the dongle, we'll send you the procedure for the migration. The shipping costs and duties are included with the price of the dongle. For more information on the activaton/deactivation process or the dongles, you should have a look at this Knowledge Base on the support desk where you can find a lot of information about the dongles and serial numbers.